I did an install on the Hutchinson beadlocks and wanted to give you a look at them. 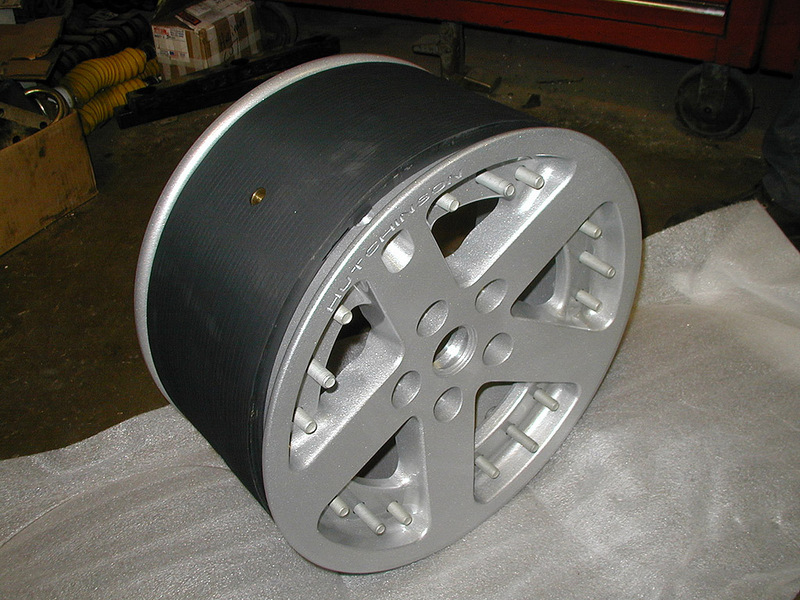 The first thing you notice when you pick one of these wheels is the weight–55 pounds each. 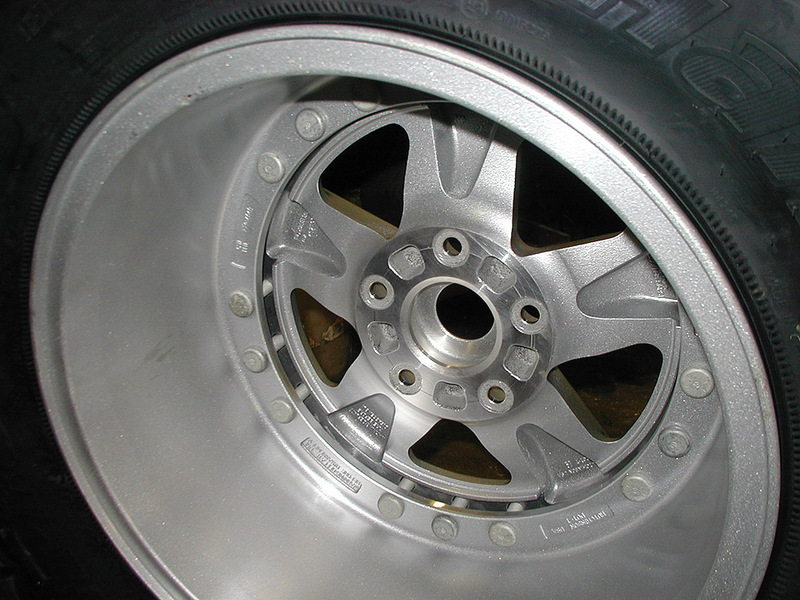 The quality of the wheel is impeccable. 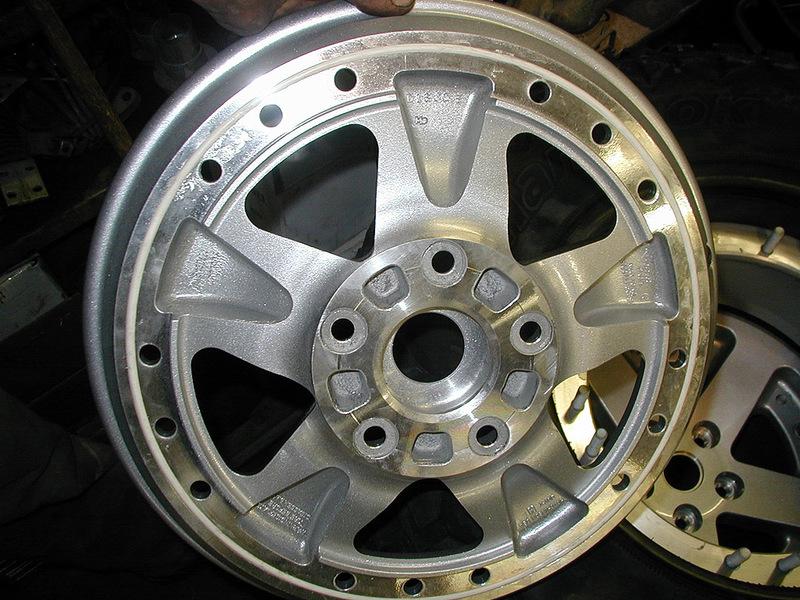 You can tell they are produced by a company that builds for the military because these wheels look like they could stop a 50 caliber round. 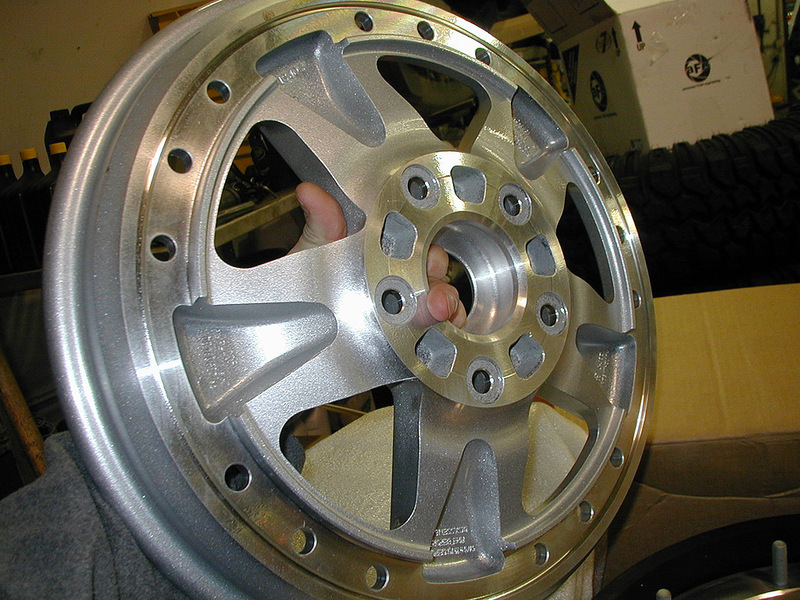 All in all a real nice wheel, good looks, just a little on the pricey side. 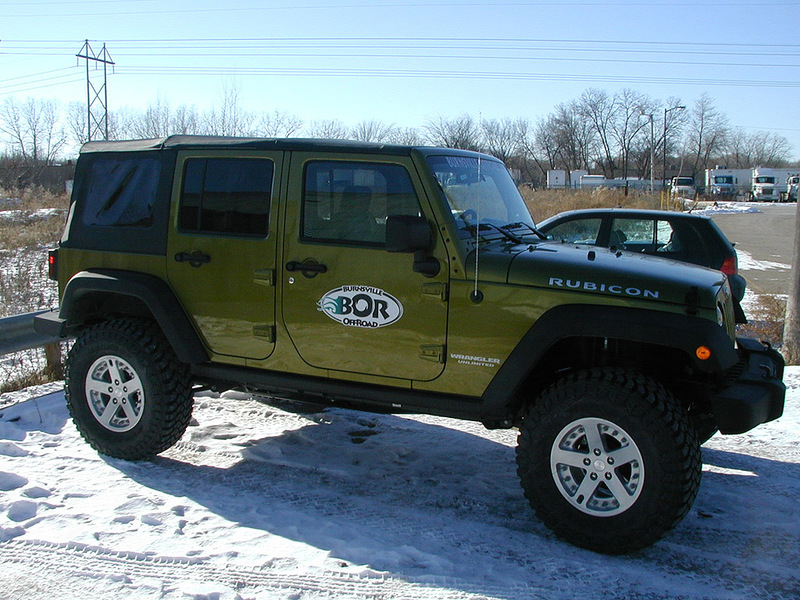 I’d like to thank Dan McKeag of Burnsville Off Road for providing this great installation write-up for the Hutchinson beadlock wheels. 1. Installation is easy and straightforward. 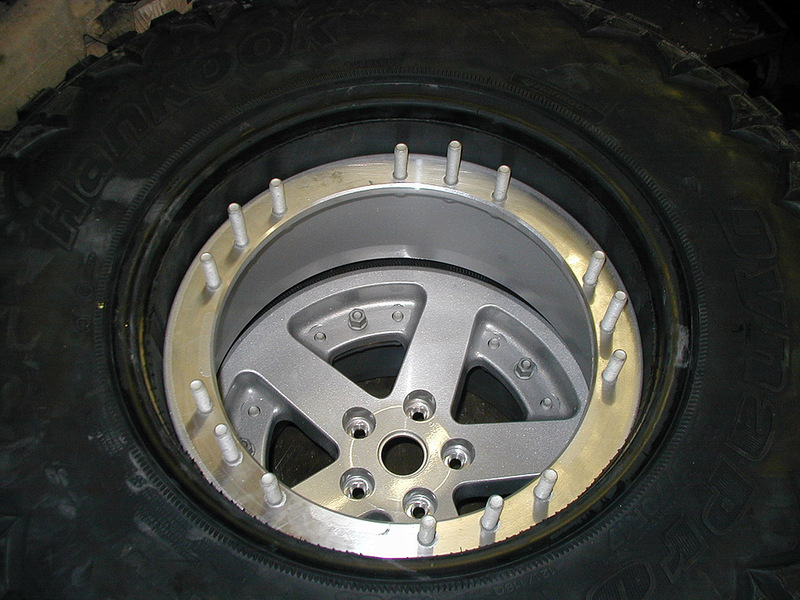 You start by slipping the rubber beadlock ring inside the tire. 2. 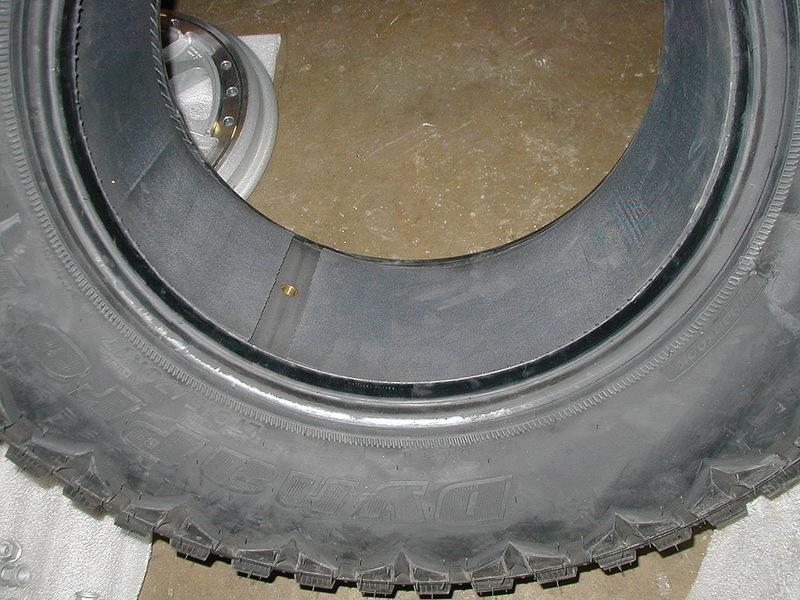 Next you slip the tire with the ring installed over the bottom half of the wheel. 3. 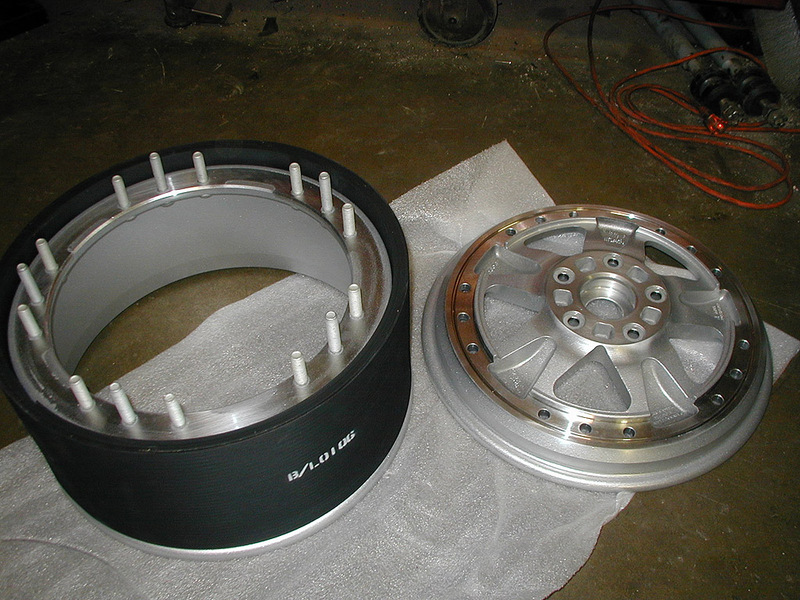 The next step is to slide the o-ring seal into place on the wheel. 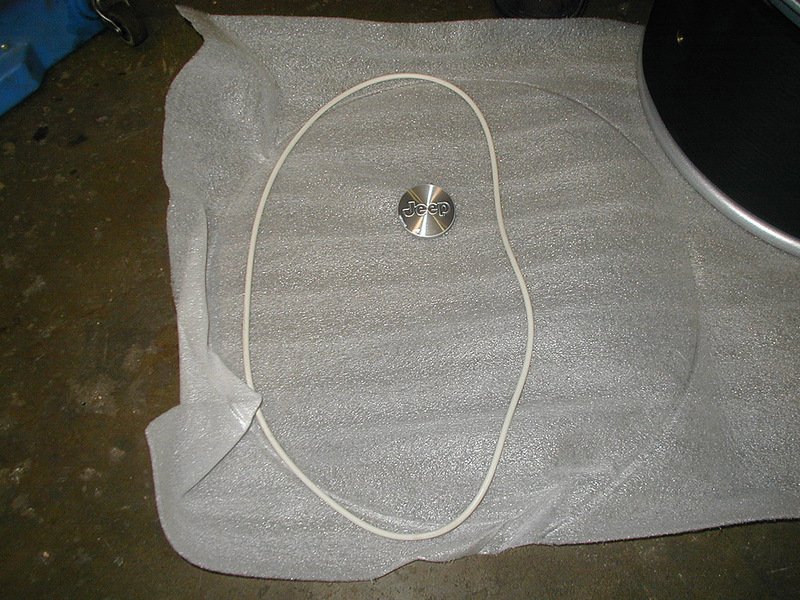 The instructions say to apply a small amount of vaseline onto the o-ring to keep it in place. It stayed in place for me anyway. 4. 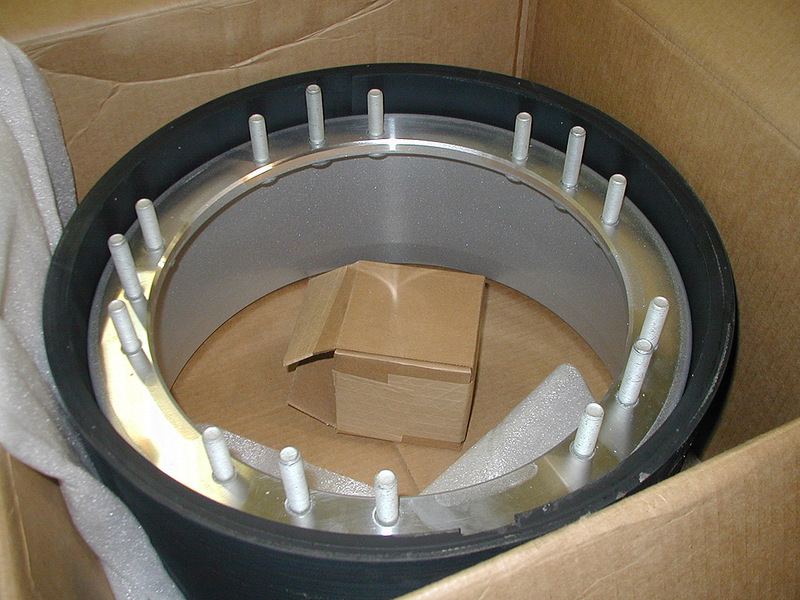 Next you carefully set on the outer half of the wheel and slide it into place. 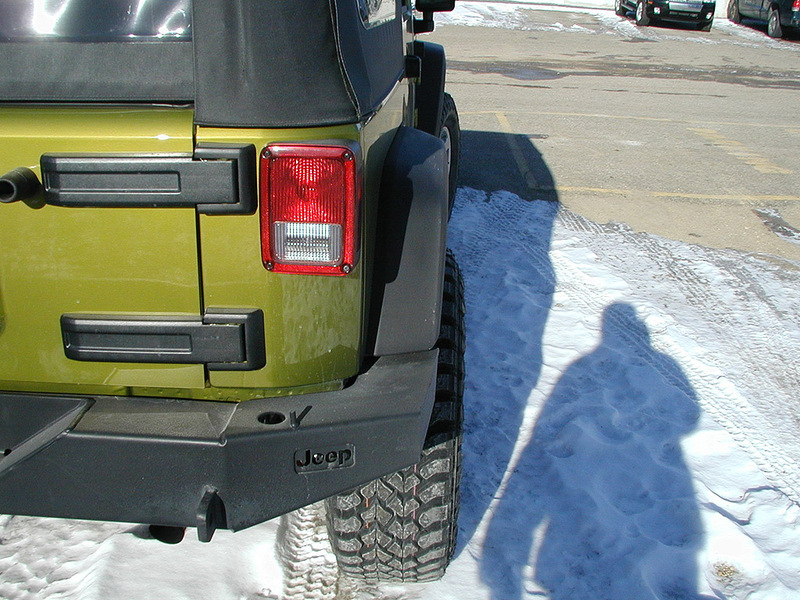 Make sure you align the valve stem with the groove in the beadlock so air can get through. 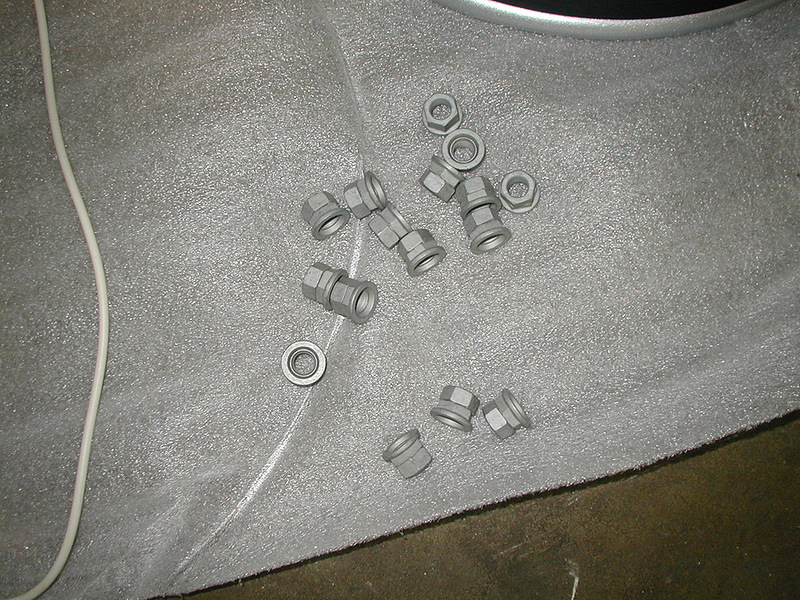 You will notice that several of the beadlock mounting studs are longer to assist in getting the locknuts started on the threads. 5. After all of the nuts are started they are tightened in a star pattern to 60 foot pounds initially and then to 75 to 80 to finish it off. 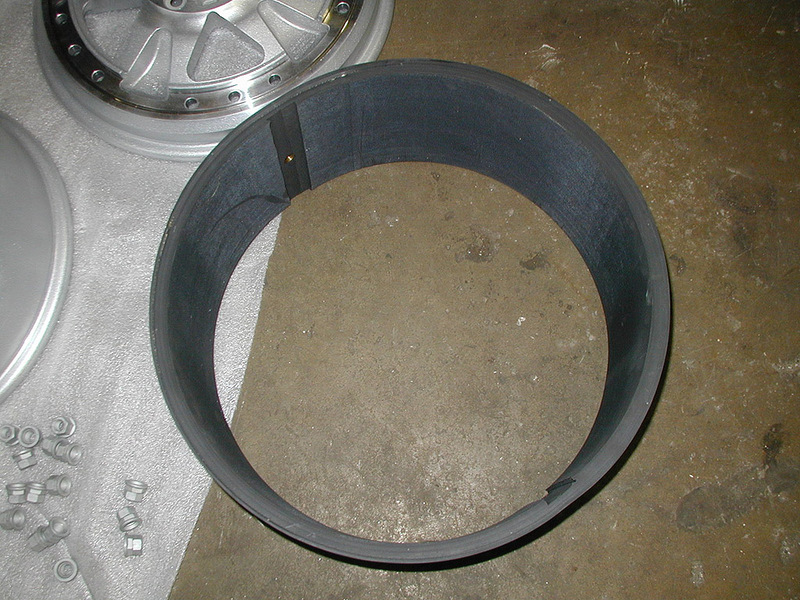 It is important to tighten in a star pattern so no warping of the wheel occurs. 6. 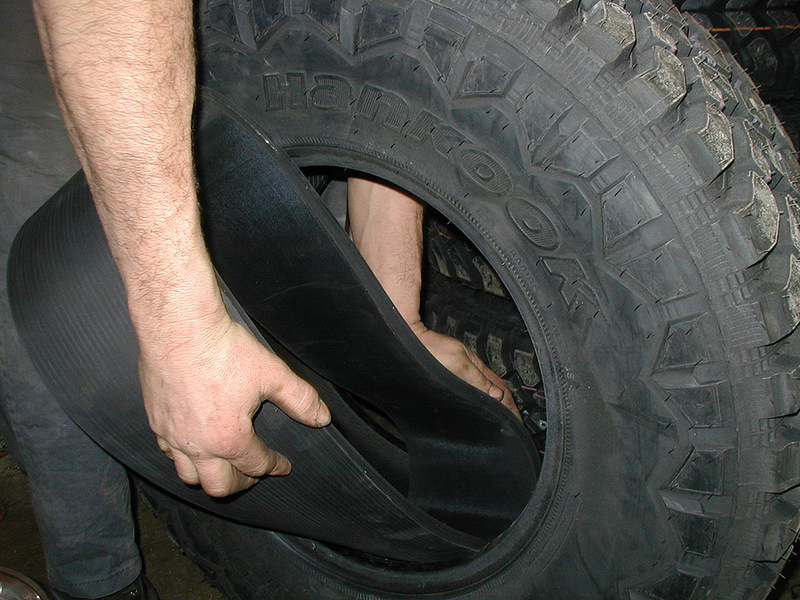 Before you air up the tire make sure the o-rings are all in place and there is no unevenness in the mating surfaces. 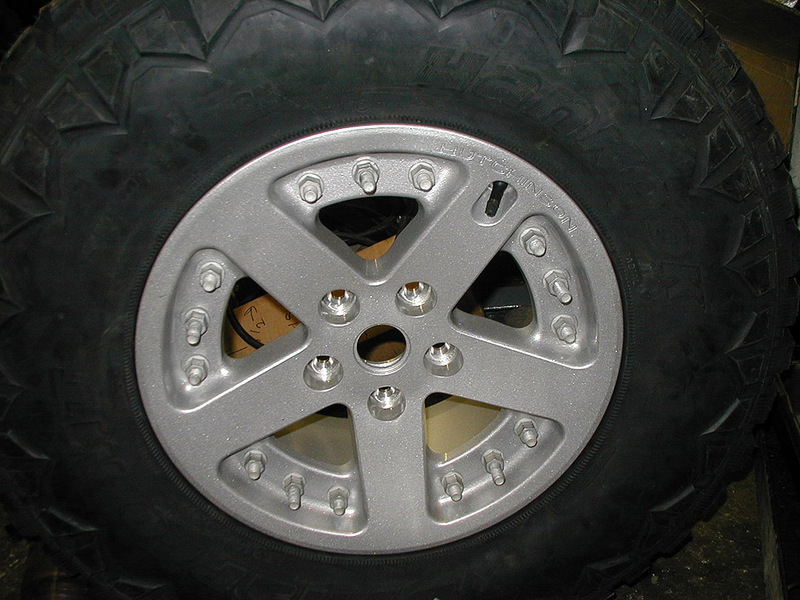 So I would like to know what type of TPMS was utilized if any and what PSI were the tires inflated to on a 37 inch tire with 17 inch beadlock wheel. 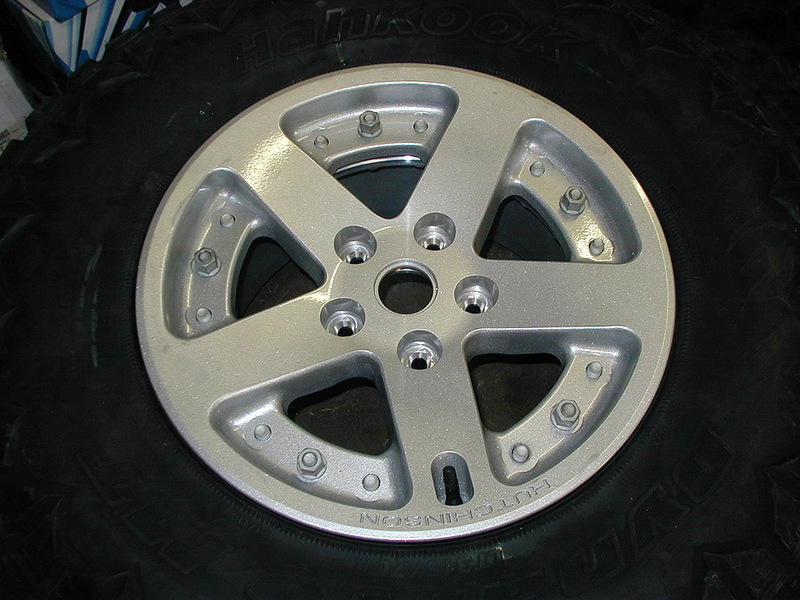 Is it still possible to buy such wheel, if it is possible then where? I know these are old questions, but I will answer them for others. 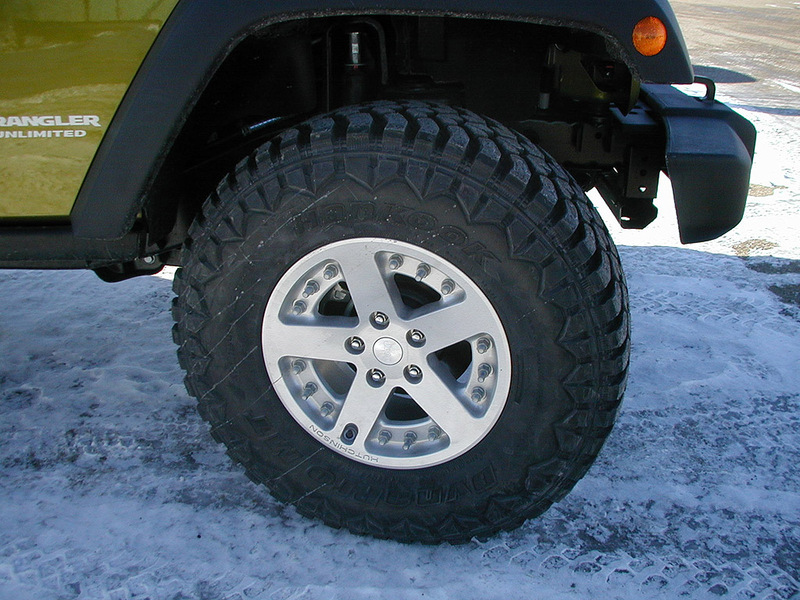 I was looking to purchase these for my overweight TJ and learned the 5.5 x 17 are only rated to 2600lbs and the new Interco’s are rated at 3000lbs. I bend my steelies on the trail then deal with the wobble on the way home and looking for a more bullet proof wheel.